Virology Research Journal is a peer-reviewed journal which covers all aspects of theoretical and practical research of viruses – sub microscopic, parasitic particles of genetic material contained in a protein coat– and virus-like agents. Virology Research Journal is an open access journal designed for the wide dissemination of research in this field to worldwide audience. New developments in methodology and techniques are important resources for the research community. Virology Research Journal is directed to virologists and others involved in research and practice of virology. This Journal provides a platform for the academicians, researchers, students of relevant disciplines to share their scientific excellence. With an emphasis on conceptual breakthroughs, its goal is to facilitate rapid publication and circulation of novel discoveries in the field of Virology, and other aspects relevant to Virology. 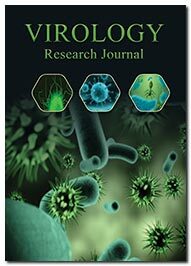 The journal scope encompasses the studies in various aspects of the virology such as for the study of viruses which includes structure and assembly, genome replication and regulation of viral gene expression, genetic diversity and evolution, virus-cell interactions, cellular response to infection, transformation and oncogenesis, gene delivery, prions, vaccines and antiviral agents and pathogenesis and immunity.